Lemos NP. Keynote Lecture: Current Issues and Trends in Forensic Toxicology. Proceeding of the 2nd International Summit on Toxicology, Las Vegas, Nevada, USA, October 2013. Journal of Clinical Toxicology 3(5):32 (2013). Lemos NP. Cannabis in Forensic Toxicology: Poison or Panacea? Proceeding of the 2nd International Summit on Toxicology, Las Vegas, Nevada, USA, October 2013. Journal of Clinical Toxicology 3(5):32 (2013). Lemos NP. Cannabis in Postmortem Forensic Toxicology: A Natural Killer? In Proceedings of 2013 Annual Meeting of the United Kingdom and Irish Association of Forensic Toxicologists. Dublin, Ireland, August 2013. Lemos NP. Cannabinoids in 105 Postmortem Forensic Toxicology Cases. Presented at the 65th Anniversary Meeting of the American Academy of Forensic Sciences (AAFS), Washington DC, USA, February 2013. Proceedings 2013, 19: 552-553. Lemos NP, EA Ingle, CO Medina, GM Easterling, P Karamanidis, CM Williams, JE Knight and JA Volk. Forensic Toxicology Findings in 150 Alleged Cases of Drug-Facilitated Sexual Assault (DFSA) in San Francisco. Presented at the 65th Anniversary Meeting of the American Academy of Forensic Sciences (AAFS), Washington DC, USA, February 2013. Proceedings 2013, 19: 548-549. Lemos NP. Cannabinnoids in 113 Driving Under the Influence of Drugs (DUID) Forensic Toxicology Cases. Presented at the 65th Anniversary Meeting of the American Academy of Forensic Sciences (AAFS), Washington DC, USA, February 2013. Proceedings 2013, 19: 536. Lemos NP, EA Ingle, CO Medina, GM Easterling, P Karamanidis and CM Williams. Carisoprodol and Meprobamate Incidence in DUID Cases in the City and County of San Francisco. Presented at the 65th Anniversary Meeting of the American Academy of Forensic Sciences (AAFS), Washington DC, USA, February 2013. Proceedings 2013, 19: 535-536. Volk, JA, CM Williams, E Moffatt, AH Wu, AP Hart and NP Lemos. Intraosseous Fluid as Alternative Biological Specimen in Postmortem Toxicology Case Evaluations. Presented at the 65th Anniversary Meeting of the American Academy of Forensic Sciences (AAFS), Washington DC, USA, February 2013. Proceedings 2013, 19: 533-534. Lemos NP. 3,4-Methylenedioxymethamphetamine incidence in DUID cases in San Francisco, California. Presented at the Annual Meeting of The International Association of Forensic Toxicologists (TIAFT), Hamamatsu City, Japan, June 2012. Armenian P and NP Lemos. Hug Drug or Thug Drug? The Reincarnation of MDMA in San Francisco Postmortem Cases: Five Years in Review (2006-2010). Presented at the Joint Meeting of the Society of Forensic Toxicologists (SOFT) and The International Association of Forensic Toxicologists (TIAFT), San Francisco, CA, USA, September 2011. Gordon AM, RR Gerona, J Melinek, AHB Wu, AP Hart and NP Lemos. Case Report: Synthetic Cannabinoid JWH-175, MDEA, MDA Involved Death in San Francisco. Presented at the Joint Meeting of the Society of Forensic Toxicologists (SOFT) and The International Association of Forensic Toxicologists (TIAFT), San Francisco, CA, USA, September 2011. Karamanidis P, CM Williams, JA Volk, AM Gordon, E Moffatt, AP Hart and NP Lemos. The First Documented Case with Positive 1-(3-Trifluoromethylphenyl) Piperazine (TFMPP) Results at the Office of the Chief Medical Examiner, City and County of San Francisco, California. Presented at the Joint Meeting of the Society of Forensic Toxicologists (SOFT) and The International Association of Forensic Toxicologists (TIAFT), San Francisco, CA, USA, September 2011. Lung DD, P Armenian, AM Gordon, TE Kearney and NP Lemos. Postmortem Peripheral Blood Fentanyl Concentrations in 20 Cases: Analysis and Comparison to Prior Studies. Presented at the Joint Meeting of the Society of Forensic Toxicologists (SOFT) and The International Association of Forensic Toxicologists (TIAFT), San Francisco, CA, USA, September 2011. Ingle EA, AM Gordon and NP Lemos. Distribution of Cannabinoids in Postmortem Specimens. Presented at the Joint Meeting of the Society of Forensic Toxicologists (SOFT) and The International Association of Forensic Toxicologists (TIAFT), San Francisco, CA, USA, September 2011. Easterling GM, JA Volk, JE Knight, P Armenian, EA Ingle, CM Williams, P Karamanidis, CO Medina, AM Gordon and NP Lemos. Methadone Incidence in Medical Examiner's Cases in the City and County of San Francisco. Presented at the Joint Meeting of the Society of Forensic Toxicologists (SOFT) and The International Association of Forensic Toxicologists (TIAFT), San Francisco, CA, USA, September 2011. Williams CM, CO Medina, GM Easterling, P Karamanidis, EA Ingle, JE Knight, JA Volk, AM Gordon and NP Lemos. Urine Toxicology Findings in Alleged Drug Facilitated Sexual Assault Cases Over a Six-Year Period (2005-2010) in the City and County of San Francisco, California. Presented at the Joint Meeting of the Society of Forensic Toxicologists (SOFT) and The International Association of Forensic Toxicologists (TIAFT), San Francisco, CA, USA, September 2011. Medina CO, JA Volk, JE Knight, EA Ingle, CM Williams, P Karamanidis, GM Easterling, AM Gordon and NP Lemos. Methadone and Driving in the City and County of San Francisco. Presented at the Joint Meeting of the Society of Forensic Toxicologists (SOFT) and The International Association of Forensic Toxicologists (TIAFT), San Francisco, CA, USA, September 2011. Knight JE, JA Volk, EA Ingle, CM Williams, P Karamanidis, GM Easterling, CO Medina, AM Gordon and NP Lemos. Felony Driving Under the Influence of Alcohol Cases Over a Four-Year Period in San Francisco. Presented at the Joint Meeting of the Society of Forensic Toxicologists (SOFT) and The International Association of Forensic Toxicologists (TIAFT), San Francisco, CA, USA, September 2011. Volk JA, JE Knight, EA Ingle, CM Williams, P Karamanidis, GM Easterling, CO Medina, AM Gordon and NP Lemos. Misdemeanor Driving Under the Influence of Alcohol Cases Over a Four-Year Period in San Francisco. Presented at the Joint Meeting of the Society of Forensic Toxicologists (SOFT) and The International Association of Forensic Toxicologists (TIAFT), San Francisco, CA, USA, September 2011. Lemos NP. Postmortem Redistribution in Interpretative Postmortem Toxicology. Presented at the Annual Meeting of the National Association of Medical Examiners. Cleveland, OH, USA, October 2010. Lemos NP. Cannabis for Dopes: The San Francisco "Pot"-pourri Experience. Presented at the Annual Meeting of the National Association of Medical Examiners. San Francisco, CA, USA, September 2009. Lemos NP. Driving Under the Influence of Methamphetamine in the City and County of San Francisco, California. Presented as part of the special session on Drugs and Driving at the Annual Meeting of the American Academy of Forensic Sciences. Denver, CO, USA, February 2009. Lemos NP, AM Gordon and PJ Wong. Driving Under the Influence of Methamphetamine in the City and County of San Francisco, California. Proceedings of the Annual Meeting of the American Academy of Forensic Sciences 15:409 (2009). Gordon AM, PJ Wong and NP Lemos. PCP and Drug Impaired Driving in San Francisco, California. Proceedings of the Annual Meeting of the American Academy of Forensic Sciences 15: 408 (2009). Lemos NP. Cannabis. Presented at the Winter Meeting of the California Association of Toxicologists/Society of Forensic Toxicologists Continuing Education Committee Workshop: Pharmaco-Basics: An Introduction to Pharmacology for Toxicologists. San Francisco, CA, USA, January 2009. Wong PJ, S Kerrigan, JJ Smith, E Moffatt, AM Gordon, and NP Lemos. Muscle: An Alternative Post-Mortem Specimen for Drug Screening by Enzyme Linked Immunosorbent Assay. Presented at the Annual Meeting of the Society of Forensic Toxicologists. Phoenix, AZ, USA, October 2008. Karamanidis P, CM Williams, GM Easterling, WA Mendoza, BG Stephens, EM Biscarra, CO Medina, SB Sachs and NP Lemos. Forensic Alcohol Findings in Cases of Alleged Driving Under the Influence of Alcohol in the City and County of San Francisco, California over the 5-Year Period: 2002-2006. Presented at the Joint Meeting of the International Council on Alcohol, Drugs, and Traffic Safety (ICADTS), The International Association of Forensic Toxicologists (TIAFT), and the 8th Ignition Interlock Symposium. Seattle, WA, USA, August 2007. Sachs S, L Woodworth, P Karamanidis, CM Williams, GM Easterling, WA Mendoza, BG Stephens, EM Biscarra, CO Medina and NP Lemos. A Demographic Study of Blood and Breath Alcohol Findings from Drivers Allegedly Driving Under the Influence in San Francisco, California from 2002 to 2006. Presented at the Joint Meeting of the International Council on Alcohol, Drugs, and Traffic Safety (ICADTS), The International Association of Forensic Toxicologists (TIAFT), and the 8th Ignition Interlock Symposium. Seattle, WA, USA, August 2007. Wong SH, M Jin, R Shi, SB Gock, JM Jentzen, P Jannetto, C Schur, V Frolov, A Jenkins, E Balraj, B Hepler, D Isenchmid, C Schmidt, WL Hearn, U Hansen, MA Wagner, T Andrew, R Winecker, J Roper-Miller, S Karch, NP Lemos, L Langman, F Couper, B Logan, A Gordon, D Moody and S Jortani. Molecular Autopsy with Pharmacogenomics - A Multi-Center Study for Certifying Methadone Deaths: Preliminary Findings of Data Acquisition and Multiplex Genotyping CYP 450 2D6, 2C9, 2C19, 3A4 and 3A5 by Pyrosequencing(TM) Presented at the Annual Meeting of the Society of Forensic Toxicologists. Nashville, TN, USA, October 2005. Lemos NP, SB Karch, E Lin, G Nazareno, V Azar, J Smith, J Melinek, AP Hart and BG Stephens. Fentanyl in Seven Medical Examiner's Cases in the City and County of San Francisco. Proceedings of the Annual Meeting of the American Academy of Forensic Sciences 11: 376 (2005). Lemos NP, SB Karch, E Lin, G Nazareno, V Azar, J Smith, AP Hart and BG Stephens. MDMA in Four Medical Examiner's Cases in the City and County of San Francisco. Proceedings of the Annual Meeting of the American Academy of Forensic Sciences 11: 360 (2005). Lemos NP, SB Karch, E Lin, G Nazareno, V Azar, AP Hart and BG Stephens. Methadone Related Deaths in the City and County of San Francisco. Proceedings of the Annual Meeting of the American Academy of Forensic Sciences 11: 360-1 (2005). Lemos NP, SB Karch, E Lin, G Nazareno, V Azar, AP Hart and BG Stephens. Drug Related Deaths in the City & County of San Francisco. Proceedings of the Joint Society of Forensic Toxicologists and The International Association of Forensic Toxicologists Meeting: 363 (2004). Lemos NP, M Moreton, JS Button, K Laamenen, TD Lee and DW Holt. Determination of Clozapine and Desmethylclozapine in the Post-Mortem Blood of a Schizophrenic Patient. Proceedings of the Annual Meeting of the American Academy of Forensic Sciences 10: 369 (2004). Lemos NP, JS Button, TD Lee and DW Holt. A Multi-Drug Fatality Involving the Highest Reported Level of Venlafaxine in London, UK. Proceedings of the Annual Meeting of the American Academy of Forensic Sciences 10: 368 (2004). Lemos NP, JS Button, K Laamenen, TD Lee and DW Holt. Death Due to Ingestion of Tramadol in London, UK. Proceedings of the Annual Meeting of the American Academy of Forensic Sciences 10: 358 (2004). JS Button, Lemos NP, J Ramsey, TD Lee and DW Holt. An Analytical Protocol for the Identification of Sildenafil (Viagra®) in Specimens Commonly Submitted to the Toxicology or Analytical Laboratory. Proceedings of the Annual Meeting of the American Academy of Forensic Sciences 10: 350 (2004). Lemos NP, LR Thuesen, TD Lee and DW Holt. Extraction and Screening of Benzodiazepines in Fingernails by HPLC-MS-MS. Presented at the 8th International Congress on Therapeutic Drug Monitoring and Clinical Toxicology. Basel, Switzerland, September 2003. Lemos NP, TD Lee and DW Holt. A Rapid Method for the Determination of Benzodiazepines in Post-mortem Blood by HPLC-MS-MS. Proceedings of the Annual Meeting of the American Academy of Forensic Sciences 9:309-310 (2003). Lemos NP. A Review of the Operations of the Centre for International Forensic Assistance. Proceedings of the Annual Meeting of the American Academy of Forensic Sciences 9: 138 (2003). Lemos NP. A Review of the Operations of the Centre for International Forensic Assistance. Forensic Medicine & Toxicology in Europe 1:31 (2002). Vanezis P and NP Lemos. Training in Forensic Medicine and Toxicology in Great Britain. Forensic Medicine & Toxicology in Europe 1:8 (2002). Lemos NP, TD Lee and DW Holt. The first documented fatality in London due to GHB overdose. Annals de Toxicologie Analytique 14(3): 190 (2002). Oxley AM, TD Lee, NP Lemos and DW Holt. A method for the simultaneous determination of clobazam and desmethylclobazam in post-mortem blood by HPLC/MS/MS. Annals de Toxicologie Analytique 14(3): 315 (2002). Lemos NP. The Use of Keratinous Tissues as Alternative Biological Specimens in Forensic Toxicology. Presented at the Joint Meeting of the London Toxicology Group & the Belgian Luxembourg Toxicology Group, Antwerp, Belgium, March 2002. Lemos NP. Nail Them with Good Forensics: the Use of Nail in Forensic Toxicology. Presented at the Meeting of the Forensic Science Society, Chorley, England, UK, November 2001. Takaichi K, NP Lemos and RA Anderson. Analysis of Opiates in Nail Clippings from Chronic Heroin Abusers. Presented at the Annual Meeting of The International Association of Forensic Toxicologists, Prague, Czech Republic, August 2001. Lemos NP, F Bortolotti and G Manetto. Capillary Electrophoresis: A New Tool in Forensic Medicine & Science. Presented at the Meeting of the Forensic Science Society, Amsterdam, The Netherlands, April 2001. Lemos NP, RA Anderson, K Takaichi and JR Robertson. Evaluation of Alternative Cannabinoid Extraction Procedures for Nail Clippings from Chronic Cannabis Smokers. Proceedings of the Annual Meeting of the American Academy of Forensic Sciences 7: 318-319 (2001). Lemos NP, RA Anderson and JR Robertson. Methadone Analysis in Nail Clippings of Patients on a Methadone Maintenance Program. Presented at the Meeting of the Society of Forensic Toxicologists, Inc. Rio Grande, Puerto Rico, USA, October 1999. Lemos NP, RA Anderson, RTA Scott, F Tagliaro and R. Valentini. Drug Analysis in the Nail: Extraction and Determination of Morphine by RIA and HPLC in Fingernail Clippings of Heroin Users. Proceedings of the Annual Meeting of the American Academy of Forensic Sciences 5: 277 (1999). Lemos NP, RA Anderson and JR Robertson. Nail Analysis for Drugs of Abuse. Presented at the Joint Meeting of SOFT and TIAFT, Albuquerque, NM, USA, October 1998. Lemos NP and RA Anderson. Biliary Analysis of Dextropropoxyphene and Norpropoxyphene by Solid Phase Extraction. Proceedings of the XXXV TIAFT Annual Meeting 1: 695-698 (1997). Agarwal AK and NP Lemos. Significance of Drug Overdose Cases. 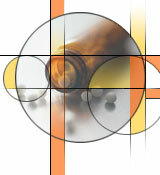 In Aspects on Forensic Toxicology 1: 142-146. Thessaloniki, Greece, August 1995.